12Pcs 10mm Car Hood Floor Sound Heat Noise Insulation Closed Cell Foam 20"x12"
Suitable For W212 E-Classes (Saloon and Estate). Can be clip-fastened to the floor to prevent slipping. Material: Luxury Black Carpet. Trim Colour: BLACK. Colour: BLACK. Extra thick heelpad on drivers side mat for longer life. No of Mats: 4. Custom fit for your vehicle . We appreciate your cooperation and understanding. Can be clip-fastened to the floor to prevent slipping. 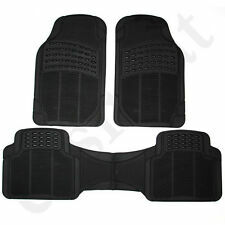 Rep floor mats CLASSIC, set, 4-piece. 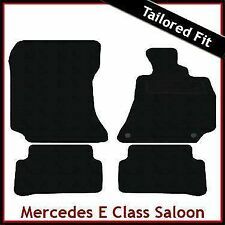 Suitable For W204 C-Classes (Saloon and Estate) 2007 - 2014 AUTOMATIC VEHICLES ONLY. Can be clip-fastened to the floor to prevent slipping. HEAVY DUTY RUBBER BOOT MAT. · Designed to protect your boot from any kind of spillage, water, oil, paint, mud etc. YOU CAN TRIM THE MAT ALONG THE CUTTING LINES TO MAKE A PERFECT FIT. · Large size 140cm x 108cm so will fill your boot. PART NO : B66360295. SUITABLE FOR A CLS (W219 CHASSIS TYPE). 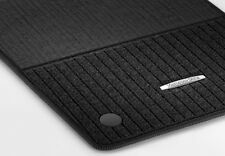 The rep floor mats reliably help keep the interior of your car clean. The mats can be secured in place using the special fastening system. Carsio Tailored Mats. Professionally Handmade using High Quality with a Pile weight of 556gsm for a longer and more efficient life. Model:A Class W176. Material: BLACK CARPET. Trim Colour: BLACK. Extra thick heelpad on drivers side mat for longer life . Colour: BLACK. No of Mats: 4. Years: 2012 Onwards. Custom fit for your vehicle. It does not have Oem Clip hole in the Mat. Put the mat into a warm area i.e. airing cupboard. This will soften the PVC and allow the mat to take the shape of the vehicle floor. 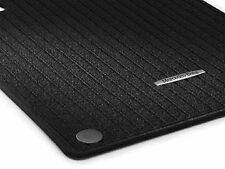 Good Size Teeth on the Rear of the Mat to catch the carpets on the floor of the car to prevent them from sliding. Give your car that high class finish with our luxury customisable car mats. Made from the high grade automotive carpet ,and not only do these mats look great but they have excellent durability and longevity. 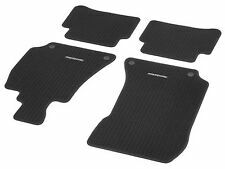 Fully tailored Deluxe car mat set in Black with Black Trim made from a durable 650g pile carpet specifically designed for the automotive trade with an anti-slip granular rubber backing. Suitable for W211 E-Class (2002-2008) and C219 CLS Models (2004-2012). The hardwearing all-season mats help protect the interior when the weather is rainy, when there’s slush underfoot and when shoes are muddy. Material: BLACK CARPET. Trim Colour: BLACK. Colour: BLACK. Extra thick heelpad on drivers side mat for longer life . No of Mats: 4. Model: E Class. Custom fit for your vehicle. We appreciate your cooperation and understanding. Suitable For All X156 GLA but also fits all C117/X117 CLA, W176 A-Class and W246 B-Class Models. 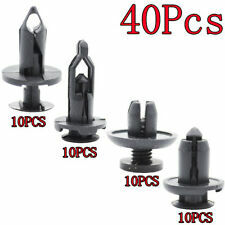 Can be clip-fastened to the floor to prevent slipping. SEAT ALHAMBRA (00-10)BLACK HEAVY DUTY SINGLE SEAT COVER WATERPROOF. Car Floor Mats. Essential to keep your car clean and tidy. These are high quality hand cut seat covers. Seat Covers. Van seat covers. Suitable for W211 E-Class (2002-2008) and C219 CLS Models (2004-2012). The rep floor mats reliably help keep the interior of your car clean. The mats can be secured in place using the special fastening system. Fully Tailored to Fit your Car. BOOT MAT LINER. PREMIUM HEAVY DUTY BLACK WATERPROOF. made from heavy duty nylon which is rubber coated on the inside to make it waterproof. VAN SEAT COVERS. UNIVERSAL CAR FLOOR MATS. At First Stop wholesale we are able to provide you with access to a wide variety of stylish vehicle accessories / car covers including custom ones designed to suit your needs perfectly. Suitable For All W205 C-Class Saloon & Estate Models. • antistatic. Supplied in 3mm black rubber with a choice of coloured stitched edge. 2pc Floor Mat Set. Floor fixings are included where applicable to keep your mats in place. (This is usually completed within 24 hours or so). Fully Tailored to Fit your Car. Double Thick Heel Pad to prolong its life. Help's protect the Sale Value of your car. 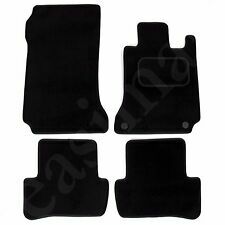 VELOUR FLOOR MATS IN BLACK. FRONT MATS WITH ROUND STUD FIXING. RIGHT HAND DRIVE. VELCRO FIXINGS ON REAR MATS. LONG WHEEL BASE MODELS ONLY. PART NUMBER:B66294233. Fully Tailored to Fit your Car. Double Thick Heel Pad to prolong its life. PREMIUM QUALITY WATERPROOF BOOT LINER. Limited edition black waterproof liner. Car Floor Mats. Motorcycle Covers. Lightweight compact design can easily be put away. Car Covers. 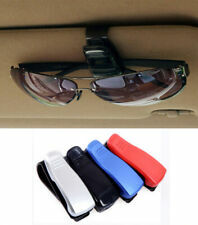 Premium Car Accessories. HIGHLANDS AND ISLANDS AS PRICES VARY. 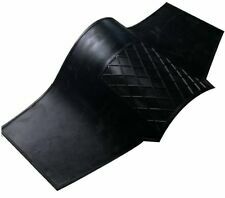 Rear Tunnel Car Rubber Mat. The mat should be inserted first, followed by the rear mats - this is the only way to make the mat adhere to the central tunnel without shifting around. Any dirt can be easily removed using a common non-abrasive soap cleaning agent. This set will only fit W639 Vito Dualiner Comfort models (with 2 front seats, made between 2003 and 2014). 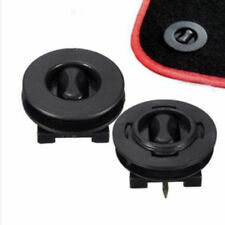 Black SUPER VELOUR Car Mats - Audi R8 LHD (07-15) Large Red R8 Logos Fixings. 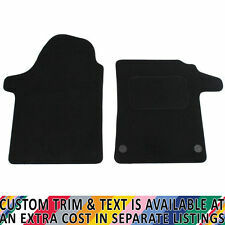 Car Mats in Black SUPER VELOUR to fit Audi S5 (2007-2016) S5 Logos (x2). 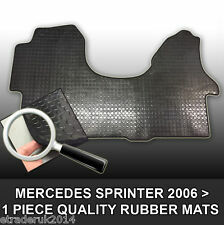 These mats are tailored for your vehicle, image on picture of rubber mat is what yours will look like. 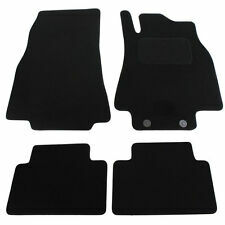 Mats ordered are specific to your vehicle andnot a universal fit. 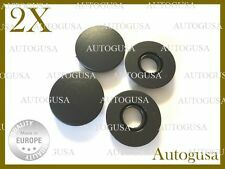 Durable black rubber for ultimate protection, withtextured surface for anti slip and are designed. Fully Tailored Van Floor Mat. 450g Automotive Carpet - Double Thickness Carpet Heelpad. How to add a Trim upgrade to your Van Mat. Upgrade your trim for £2.99 Buy 1 trim upgrade to have the full set edged in your personalized colour's. Carsio Tailored Mats. Professionally Handmade using High Quality with a Pile weight of 556gsm for a longer and more efficient life. 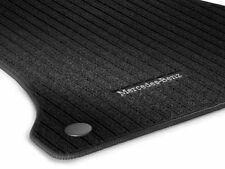 Professionally Handmade in the UK for accurate fit of your footwell area, unlike Universal Mats. This is made from good heavyweight quality dense fibre underfelt material approx 8.5 mm thick. A material sample is available FOC on request.